They say our skin’s appearance is a clear reflection of our overall health. So if we have blackheads, whiteheads, cysts and other skin imperfections, something is out of balance in our bodies. Poor diet, medications, stress, sleep deprivation, smoking and hormonal changes affect our skin significantly. Acne whether mild or severe is a condition that many people, young and old, have to contend with on an ongoing basis. What it boils down to, is the over-production of sebum from the sebaceous glands which results in the pores being blocked by a mass of oil and dead cells. This creates the perfect breeding ground for bacteria to flourish and your skin to explode in copious pimples. Although acne is brutal on our self-esteem, there are things we can to do improve this condition. Cutting back on sugar and using various herbs can help. High-glycemic foods saturated in sugars, saturated fat and iodized salt are some of the biggest culprits. Junk foods, processed foods, chocolate bars, salty snacks, soft drinks and alcohol offer no nutrition but instead encourage acne eruptions. 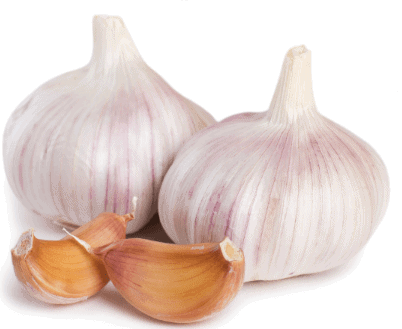 Garlic has antifungal, antibacterial, antiviral, and antiseptic properties, so it’s ideal to use on acne. Take a clove of garlic and score it release its juice. Then rub the clove all over your acne several times a day. 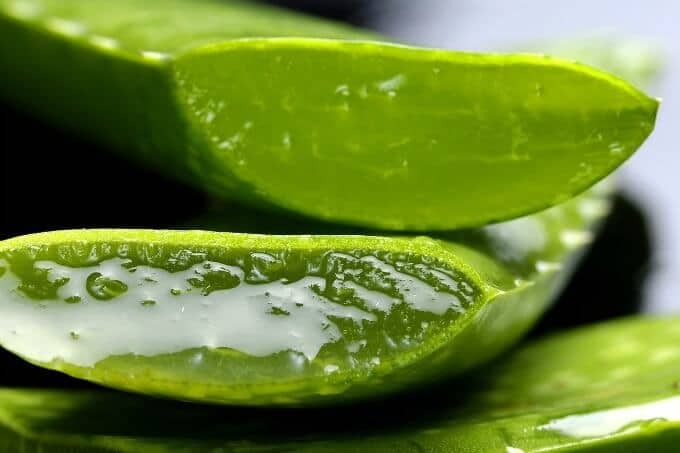 Aloe Vera has potent antibacterial properties, so it’s very effective in treating conditions associated with acne, like redness and swelling. Its antifungal properties are beneficial for treating inflammation like boils and cysts on the skin. Neem is a potent antibacterial herb that has been shown to clear cystic acne. There are many skincare products that include neem as an ingredient, but you can make your own toner by boiling about two dozen leaves in about two cups of water. Strain the mixture and store in a bottle. Dip a cotton ball in the prepared neem water and cleanse your face. 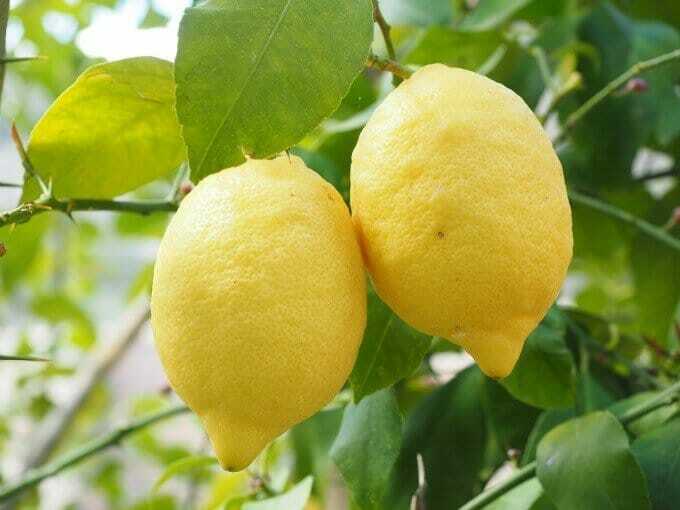 Freshly squeezed lemon juice is a great astringent and has some great acne-fighting qualities. Its acid cleanses and flushes the pores, kills bacteria and leaving skin clear and soft. It’s great for spot treating acne patches. 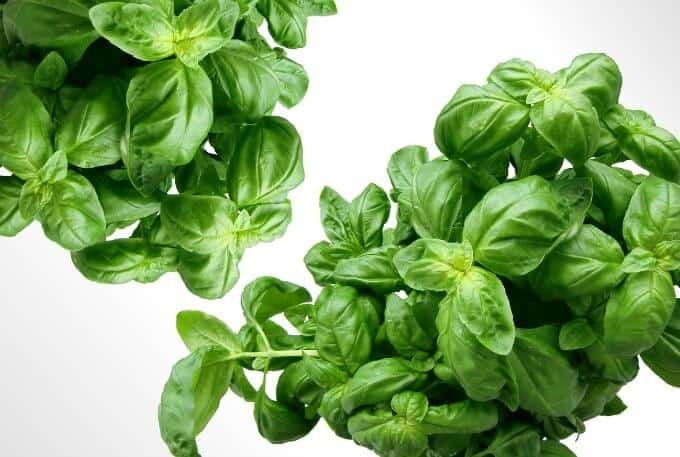 Basil acts as an astringent and antiseptic and has antibacterial properties. Basil has the ability to break up clogged pores, remove dead skin cells, and keep skin inflammation or pimples from returning. 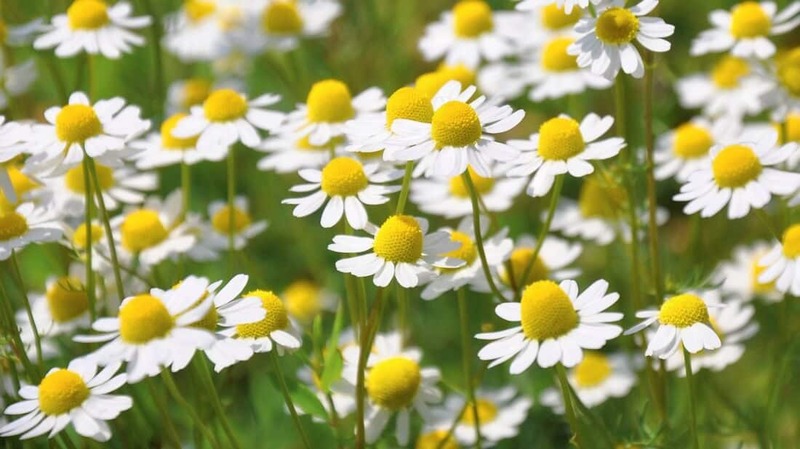 Chamomile tea has been used for centuries as a traditional medicine. Its antioxidant, anti-inflammatory and antibacterial properties benefit the skin. You can drink the tea or rub fade acne scars by rubbing the powered leaves on the affected area. Disclaimer: This article is for informational purposes only. It’s not intended to offer any medical advice whatsoever. If you have any health concerns, see your healthcare provider. This is good to know. My daughter has problems with acne, so I’m going to show this to her. Thank you! Funny how sometimes you read that there is no connection between food and acne. But I believe that if we consume junk, it will show on the outside. Also, I have never heard of ‘Neem’. I use a lot of Basil and garlic in my recipes. I did not know about the benefits listed above. The best thing we have found is taking vitamin C. My daughter is drinking O.J and taking Vit. C chewables and her skin is so much better. These are innovative tips! And so easy, thanks! My girls are just starting to have acne breakouts so I am going to try some of these remedies. An Aloe Vera plant is fantastic to have in the house. Put it on burns, mosquito bites, pretty much anything and it makes it better. This is one problem I never had to deal with, I might get the odd one here and there but like maybe once or twice a year, it’s great to know about natural ingredients! Great advice. I just received what will be a scar on my forehead. I am going to try chamomile. Wow! I never knew these things could be used to treat acne naturally. Marvellous, I’m going to pass this onto my son who at the age of 31 still suffers from Acne. I never knew there were so many natural ways to help treat acne. Thank you for this information. There are some great tips here! I had certainly never heard of using some of these natural methods to treat acne. I do believe in Aloe vera and have several plants. Thanks for the other suggestions. my son and daughter have problems with Acne. Great suggestions in your post! I’ll pass on this info to my teenage grandkids. Thanks for the research! I learned that I need to cut out my sugars…mostly in my chocolate snack diet! I’ve used aloe before for burns. I’ve never heard of neem before but it sounds interesting. I had no idea that garlic juice could be used on acne. I knew about Aloe and Lemon, but as for Garlic being good for Acne I never knew that. I have never heard of Neem before but I will look into it. These are great tips; plus sugar is bad for you anyways (especially in the quantities we ingest it in). I do recommend tea tree oil too. Interesting suggestions. I had not heard of neem. It would be amazing if any of these work for anyone suffering from acne. Prescription medications do work but can be very expensive. Interesting post and some great suggestions. Most are items that I already have around the house. Though I don’t think I want to rub garlic on my skin. The smell would be unpleasant. Much better remedies than the chemicals I stuck on my face as a teen. I’m sure they damaged my skin more than the acne did. Lots of great tips for people of all ages who suffer from acne. It;s great to consider natural alternatives to chemical based products. I like the idea of lemons because I always have them in the fridge. Yep, I definitely notice the coloration with sugar and acne. I’m going to be using a LOT more basil than I thought I would – even though I thought I used a lot! This is great to know that I have so many household items that can be used to help with breakouts! I use garlic and aloe for my skin. And I’ve started drinking chamomile tea, I really like it. I would have tried all of these when I was a teenager…my mom was always suggesting natural remedies for my acne. Luckily I don’t have that problem anymore! Some great ideas that I’ve never thought of trying. Thanks for the info! 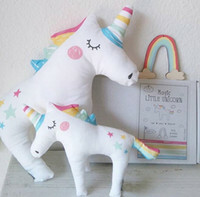 I’m going to bookmark this for the teen years that are not starting too far from now in my house! Thank you for the natural ideas! My oldest daughter and I have been looking for things to do to get her acne under control. I never dealt with it myself so I wasn’t sure where to start with her. Thanks for the tips! I have never heard of Neem. Where would I get it.